Howlin' Wolf Records: SIX STRINGS: KILL ME THREE TIMES [BLU-RAY/DVD] - SIMON PEGG! 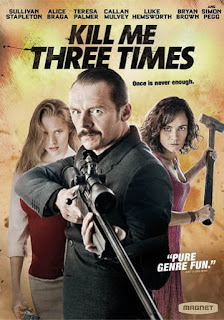 Once is never enough in the hilarious crime thriller starring fan-favorite Simon Pegg (Shaun Of The Dead), KILL ME THREE TIMES, arriving on Blu-ray and DVD July 7 from Magnolia Entertainment under the Magnet Label. From director Kriv Stenders (Red Dog) the daring black comedy set and shot on location in Western Australia also stars Teresa Palmer (Warm Bodies), Sullivan Stapleton (Animal Kingdom), Alice Braga (Elysium), Callan Mulvey (Batman v Superman: Dawn of Justice, Captain America: The Winter Soldier), and Golden Globe® nominee Bryan Brown (Australia, The Thorn Birds). When eccentric assassin Charlie Wolfe (Pegg) is hired by a wealthy man (Mulvey) to kill his beautiful wife (Braga), he discovers he’s not the only one aiming for her murder. Soon, he inadvertently finds himself at the center of three tales of murder, mayhem, blackmail and revenge, all incited from the wife’s illicit affair with a local surfer (Helmsworth). Produced by Laurence Malkin and Share Stallings, the team behind Death At A Funeral and A Few Best Men), KILL ME THREE TIMES is an “exhilarating yarn” (The Film Stage) and “a breezy, crowd-pleasing ride” (The Movable Feast). 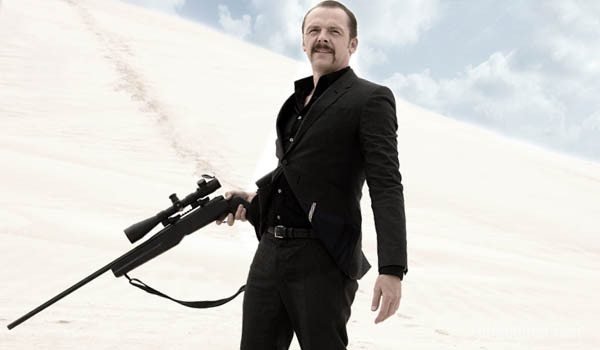 The double crosses pile up in this comedic thriller starring Simon Pegg as a jaded hit man on a seemingly routine job. The assassin finds himself in the center of three tales of murder, mayhem, blackmail and revenge intertwine when a gambling addict, a small town “Lady Macbeth,” a club owner, a policeman and a lover all converge on the same mark. It's Simon Pegg and guest, can you go wrong with that?